This past weekend was the Oakley Fancy Flea, and I think it was quite possibly the worst weather I have ever seen for a pop event! 68 degrees, cloudy and breezy! It was a bust for sure, but hey, you can’t win them all! We are extremely happy to go on vacation next week up to the Great Lakes area to pretend we are on the ocean! I looked up to see if there are any ice pop companies up there, but I can’t find anything. If anyone knows of any, let me know and we will check them out! 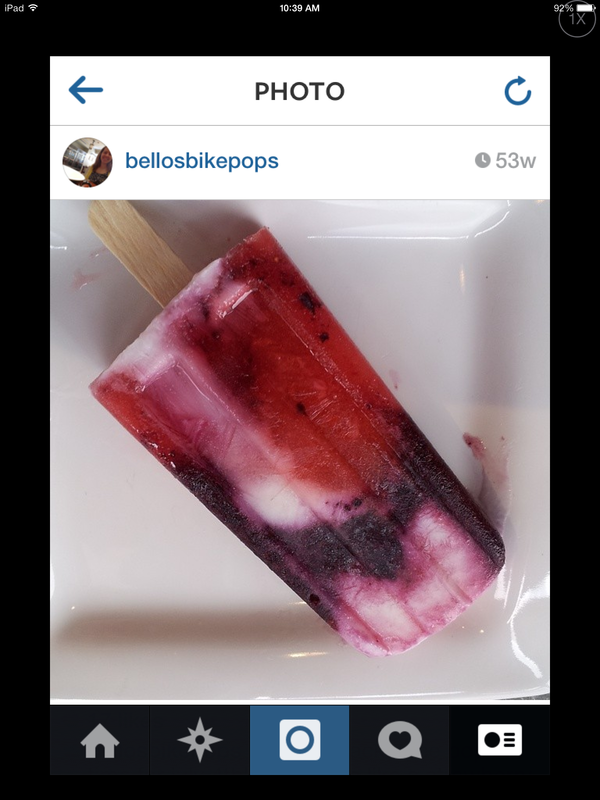 Today the beloved Firecracker pops will be back for the 4th of July weekend! We close at 2 pm on the 4th, so get your pops for your family BBQ early! We continue to have events added to our calendar for the rest of the summer, so if you have a party you want catered, please contact us! 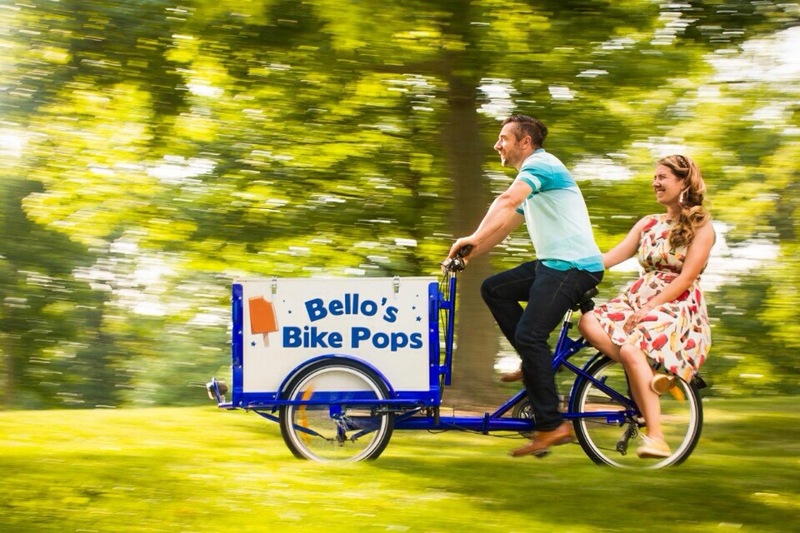 A big shout out to Rudy Harris for this great photo of Justin and I on the pop bike! We are so excited to see the rest of the batch soon! 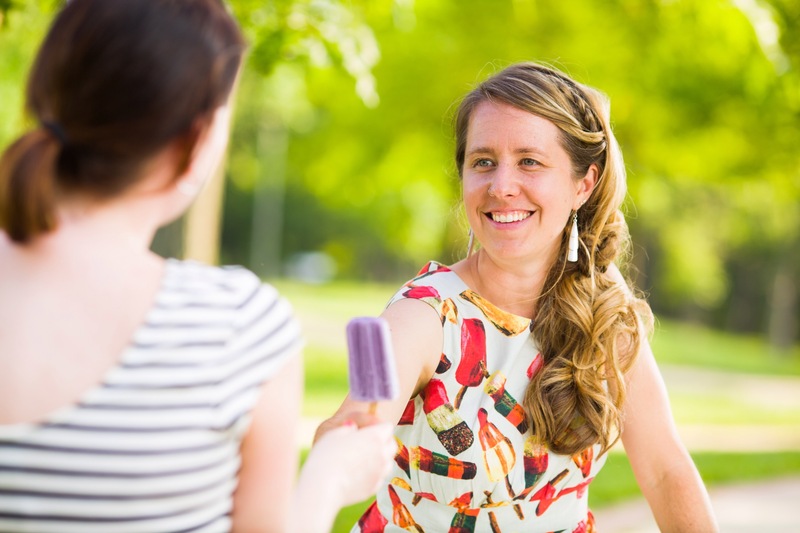 Things are pretty hectic in ice pop land these days, but all good things! 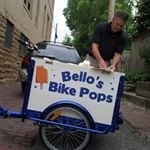 We have a new incredible flavor to unveil later this week, as well as a photo shoot on Friday for some new Bello’s Bike Pops promo photos. Keep your eyes out for those! And, today we got all new decals on the icicle tricycle which sadly had our old logo on it for far too long. But, at least now it is all up to date! We have two big events this weekend… Saturday is the Newport garden tour, so you will find Patrick out riding the bike in the neighborhood for the tour goers, as well as Sunday is the Taste of Newport. This is a great event for trying out all Newport has to offer! Hope to see you there!